Integrating our own indigenous research and clinical practice. Our research teams work collaboratively with colleagues within the centre and other institutions countrywide to discover new materials, techniques and pathways for patient care. I.T.S Dental College core research facilities and equipment offer a broad range of instrumentation and capabilities not often found in academic dental centers. We take great pride in the research programs I.T.S Dental College. Our investigators conduct cutting-edge basic. I.T.S - CDSR has established an Advanced Centralized Research Facility "Centre for Advanced Research". The Office of Research is located on the First Floor, Dental OPD. View map. The research mission of I.T.S Dental College is to support development of new knowledge in oral health science and related fields that will contribute to improved health. Essential to this mission is promoting an integration of basic, translational, clinical and health services research along with associated educational programs. We take great pride in the research programs I.T.S Dental College. Our investigators conduct cutting-edge basic and translational science, clinical/health services research, and educational research that is used to transform clinical practice and dental education. Research and scholarly pursuits are essential activities for all faculty, students, and residents. Research fulfills the school's mission to contribute to the knowledge necessary to improve the oral health of the people of, the nation, and the world. Furthermore, research is an essential component supporting the education of dental and graduate students within the college. Awarded to students with innovative ideas to identify and foster exceptional ground breaking research projects. For questions about Individual undergraduate and postgraduate Fellowship Awards contact Centre For Advanced research. We strongly encourage all graduate students to apply for fellowships. Fellowships vary in amount and are an important source of funding designed to help students meet their research requirements. I.T.S - CDSR has established an Advanced Centralized Research Facility "Centre for Advanced Research". It is the first research Centre in Northern India to provide complete guidance and facility in the area of Biotechnology, Microbiology Genomics, Immunohistochemistry and Dental Metallurgical studies. The main focus of the Centre for Advanced Research is to provide guidance, training and research facility to B.D.S, M.D.S, M.S.C and M. Pharma students for undertaking their thesis/research work. The centre for Adavanced Research, I.T.S Dental college was inaugurated on 20th December, 2014. A one day workshop on GENOMIC DNA ISOLATION AND PCR titled ‘BLOOD AND DENTAL PLAQUE AS MOLECULAR TOOLS- THEORIES AND PRACTICES’ was organised by Centre for Advanced Research and Department of Oral and Maxillofacial Pathology on 12 th December 2016. This hands on workshop included an enriching Guest Lecture by Dr. Usha Agrawal, Scientist E, National Institute of Pathology, Safdarjung, New Delhi on Molecular Diagnostic Modalities followed by an interactive hands on session of DNA isolation from Human blood and Dental plaque followed by Agarose Gel Electrophoresis and demonstration of PCR. The workshop was attended by over 70 participants from various dental colleges and was well appreciated by all. 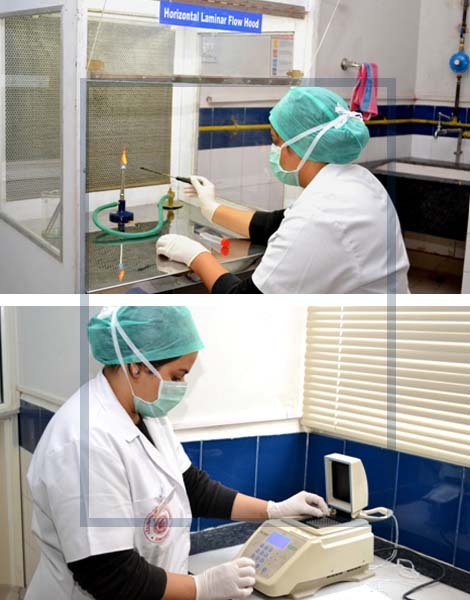 I.T.S Dental College core research facilities and equipment offer a broad range of instrumentation and capabilities not often found in academic dental centers. Designed to be shared by investigators both on campus and externally, and to foster collaborative research, these state-of-the-art technologies are playing an important role in the growth of basic, clinical and translational research to improve human health. We invite you to take advantage of our core scientific resources that are contributing not only to the quality and productivity of research conducted at I.T.S, but also beyond our walls.